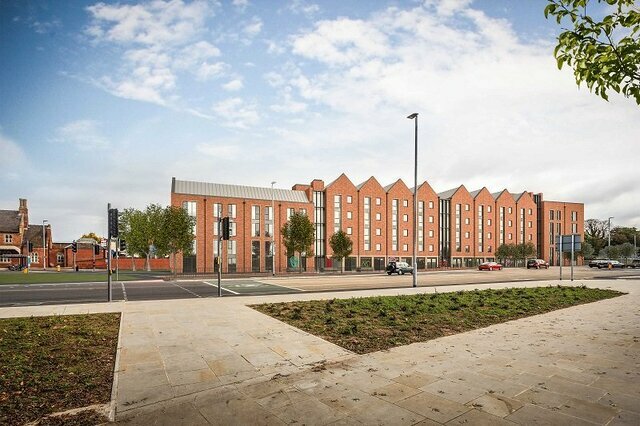 Planning permission has been granted for a new student accommodation block at Station Approach. 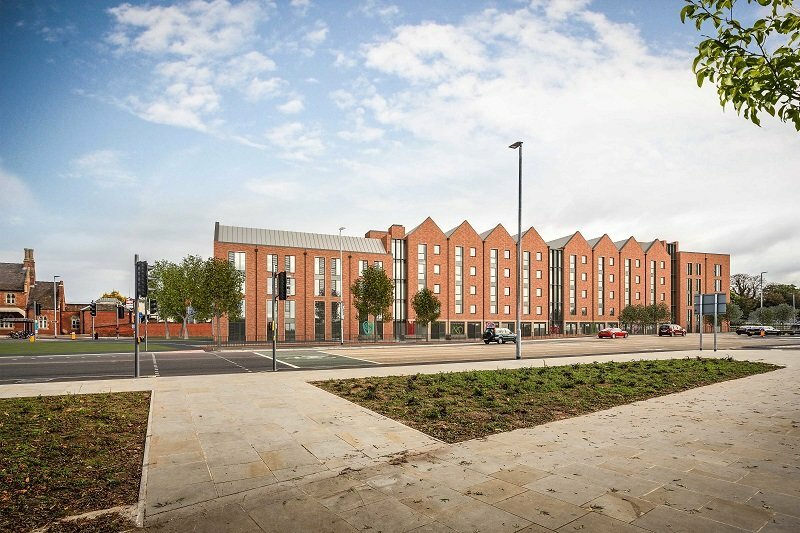 The application was submitted by the council’s development partners, energy and regeneration specialist ENGIE and Cityheart Partnerships, for purpose-built student accommodation at Station Approach. 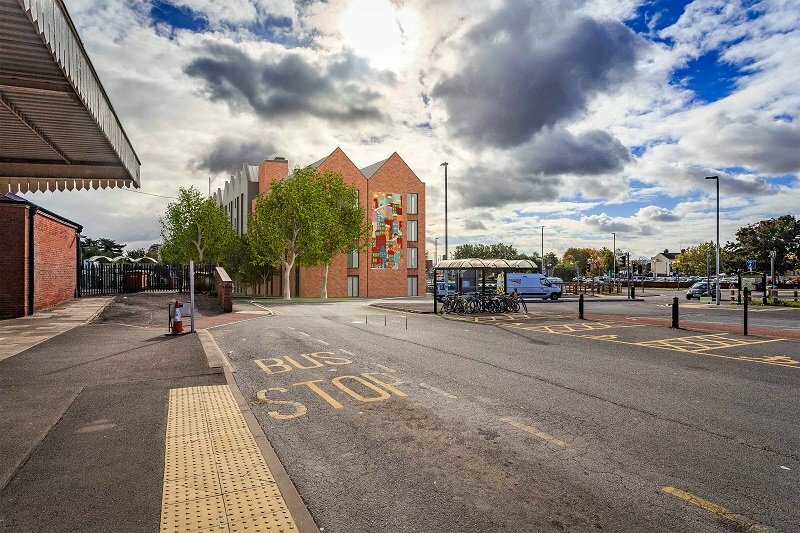 Hereford College of Arts (HCA), which has a proven need for good quality student housing to support its growth plans, will be the main customer of the Station Approach project. There will also be rooms allocated for students of NMiTE, supporting its development. Station Approach is part of Herefordshire Council’s Development and Regeneration Programme (DRP) in partnership with ENGIE which will deliver the programme over the next 10 to 20 years. The programme will support the council’s economic vision for the county which includes support for the delivery of the new university and Hereford’s existing colleges. The site is located at the heart of Hereford’s transport system, to the north east of the new Hereford City Link Road and provides easy access to Hereford College of Arts (HCA), Hereford station and the city centre. 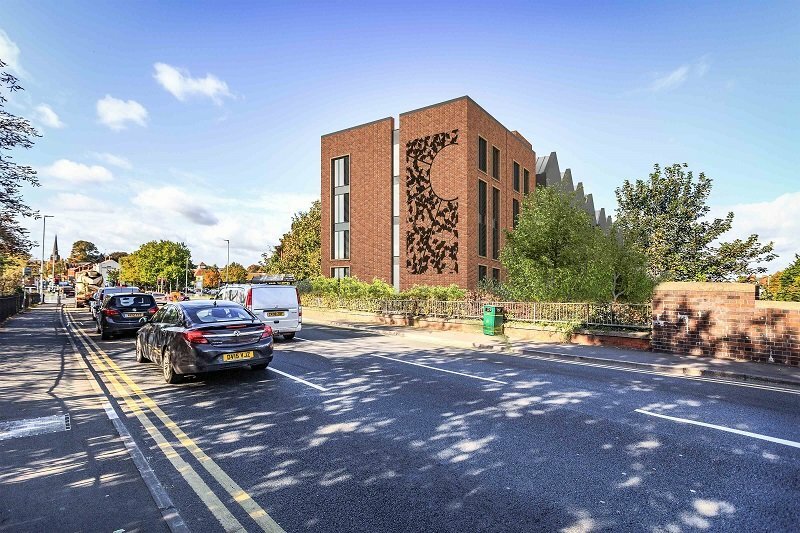 Along with accompanying hard and soft landscaping, cycle parking, and accessible parking with fast charging points for electric cars, there will be public art designed and made by the students. “After the incredible hard work that has gone into the application and designs for Station Approach, it is fantastic news for Herefordshire that Station Approach has been granted planning permission. This is a wonderful example of a collaborative development, with the council, ENGIE, Cityheart, Hereford College of Arts and NMiTE all working together to progress this exciting project. “This opportunity plays an important role in our plans to attract more students than ever before to Hereford for creative degree courses at Hereford College of Arts. We are also excited about the way that student and staff artwork will help make this building an inspirational gateway to the city and represent our city’s great creative heritage and future. “We are fully supportive of these exciting proposals and delighted to be partnering with HCA as customers for this purpose-built accommodation which will, we hope, make an important contribution to our requirements for our September 2020 intake of learner engineers”. I am appalled that accommodation for young people is being crammed into space at the junction of two busy roads, plus diesel trains on the other side, where the AIR POLLUTION and NOISE is likely to be much greater than almost any other place in Hereford. This at a time when the life-threatening effects of air pollution on health are constantly in the news. One or two trees won't make any difference. Students will be at risk every time they open their windows. So many practical things in this application have not been thought through. For example, students are all expected to use bikes, but there seems to be a narrow entrance to the bike store room. They will all have to queue to get in and out at busy times! And that will take time they shouldn't have to waste! If I was a prospective student this would not encourage me to come to Hereford. I'm sorry to be such a wet blanket amidst all the smug mutual back-slapping, but I really don't think this lumpen structure even deserves to be called 'architecture'. It is a bland nondescript building, which pays little respect to the neighbouring Grade II-listed Victorian building, which two years ago was singled out by the writer Simon Jenkins as one of Britain's 100 best railway stations. Together with the dreadful Medical Centre, (which was approved last year) Hereford will soon become known as Leggoland. Reminds me of those satanic cotton mills/warehouses seen in our industrial wastelands.